Fort Magic Review and Giveaway! The Fort Magic Kit really is the toy with endless possibilities! What do you get with Fort Magic? How are others using Fort Magic? You can watch videos about the Fort Magic kit HERE! Want to purchase a kit? Check out their BUYING PAGE or get one from AMAZON! How about the opportunity to WIN a kit?? The Fort Magic Giveaway is open to U.S. and Canadian Residents. 188 Responses to Fort Magic Review and Giveaway! My kids would love this! Hours of fun! This looks like so much fun! My 3 girls will love this! We would have a blast with this! I don’t know who would have more fun with this my LO, husband, or me!!!!! The magic play house and magic castle are my faves! I LOVE all the options, and how realistic each thing you can build looks! What a fabulous toy! This is seriously one of the neatest products I have seen! I love that everything can be built using one kit and really LOVE how children of all ages can enjoy it. Thanks for the giveaway! 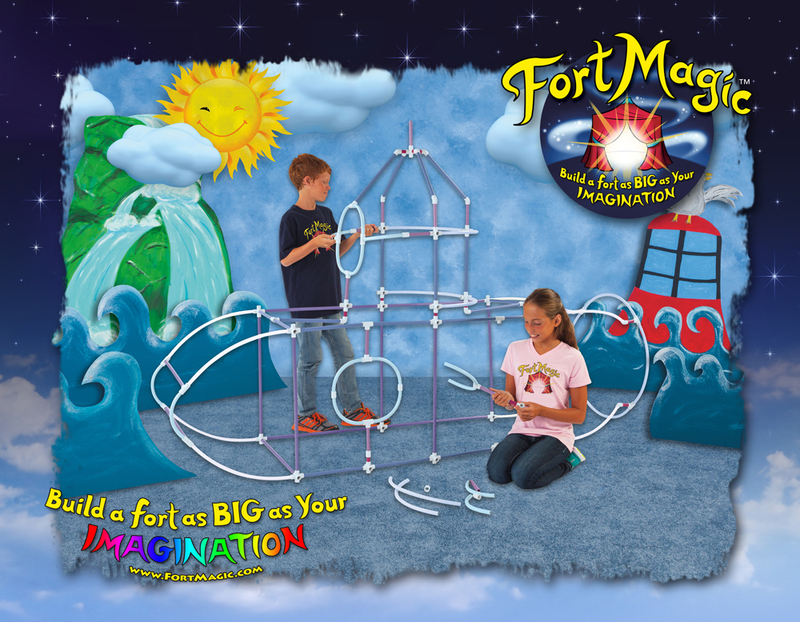 I’ve seen other products like this one but Fort Magic looks like it is a much sturdier product! This would be awesome! I can see this becoming so many different things for my kiddos. I love the idea of the rain cave. My son loves building forts but gets frustrated when the blankets and pillows fall down. He would loooove this! I love how easy it would be to set up and how much fun it would be to play in! Oh my goodness! How did I not know about Fort Magic before now? My children love to build forts! We have so much fun using blankets, pillows and furniture, but this would be so cool! 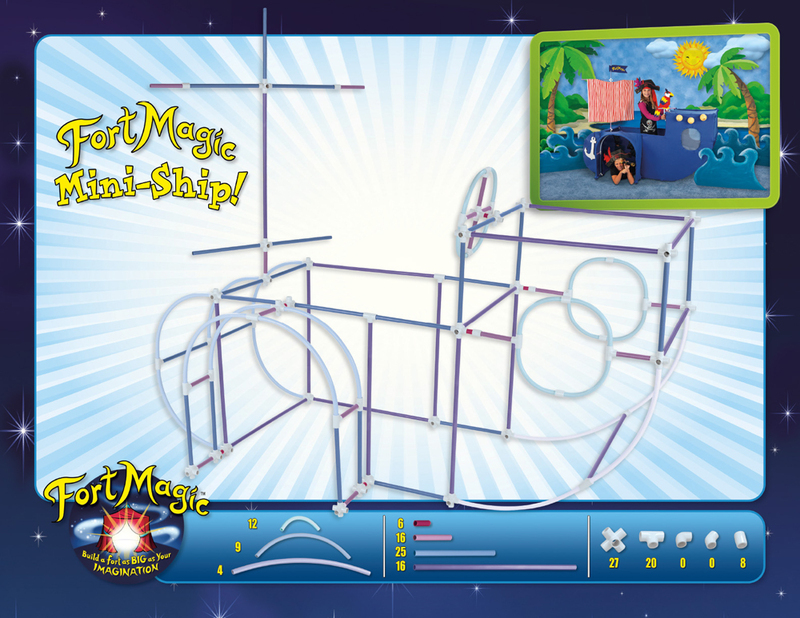 My 2 year old would love to be able to make the pirate ship I saw on the Fort Magic website! We want one of these!!!! This seems amazing! My boys would love it! Love this! I’m totally obsessing over it after reading your blog post, too. Definitely buying it at some point if I don’t win Next Christmas?! My boys love building forts, I love the idea of them being able to build something without much help so its their own creation. I have three kids who are obsessed with for building. This would be a great way to expand their for building fun!! 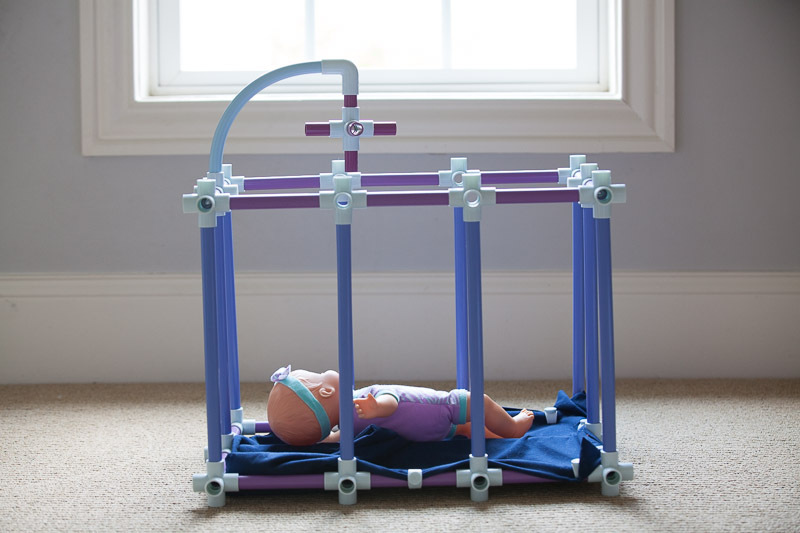 What a creative way to help children develop body awareness and spatial relationships! Fingers crossed!! Another great find… thanks PAHM! How awesome!! My kids would love this! A super opportunity to build the basics of any imaginative structure – what a great toy that can be enjoyed indoors or out! I have a funny feeling if we took this to the grandparents’ place, they would be playing with it when the kids were gone. This would be perfect for our elementary school’s Odyssey of the Mind team! They could build anything! I love the magic castle! My boys ( and their parents ) would love this!!! My son loves to build things. My favorite thing about this product is that it’s so customizable. This would be amazing! My boys would love this! We are homeschooling, and the possibilities are endless. This would be a great Christmas gift! I love that this combines the fun of building a fort with construction type materials. 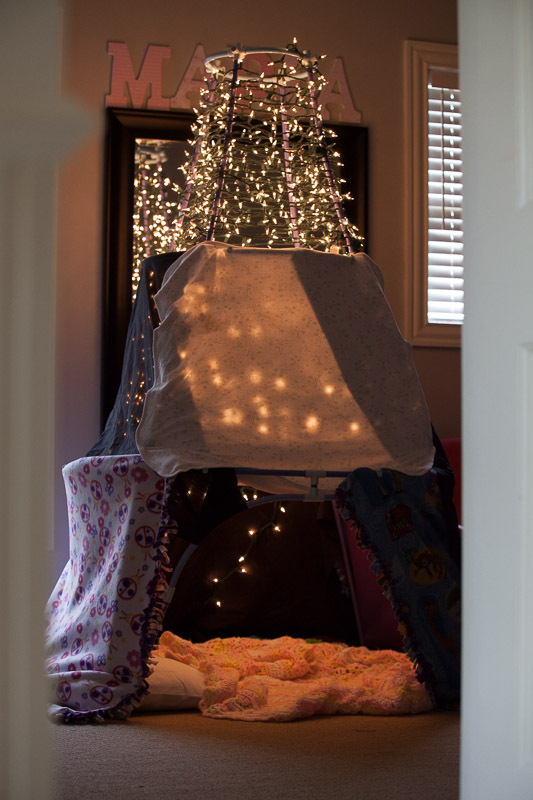 I have two kiddos who would both love hanging out in a finished fort! I love all of the different design ideas! I love how big it is compared to other sets! Huge playspaces, and great for older kids and family days. Absolutely love it. Thanks for sharing! My little boys think this rocks! This looks like so much fun! And I love the open-ended potential for creativity! What I love about it is that it is open-ended and has no wrong outcome when building your fort. Love this! My son is always wanting to build forts! The fabric clips are genius. So many creative possibilities. we would love love love to play with this! my children are just the right age to appreciate it thanks!!! These look amazing! I especially love that they come with fabric clips. The biggest problem I have when trying to make forts at home is trying to get the sheets to stay! These are so awesome! They look so sturdy! I want to get them for my 3 sons!!! They would go crazy for these!! Endless possibilities for my three boys!! These are awesome! I would love one for my preschool. We love open-ended toys, but there are very few that are this size! This looks like great fun for many years. This looks amazing. My boys love forts and this is better than anything I could come up with. I was looking at the customer photos & reviews and I loved the one where the boys are outside with their water guns! My son would LOVE that! Such creative ways to use these! These would be SO much fun for my kids (and my husband)!! We would have TONS of family fun, I just know it!! This is awesome!!! My son wants to build the pirate ship. I want to build the castle! I love how versatile the tent kit is! My 5year old would LOVE using her imagination to build many different tent structures! My son has a knack for building. He would love these! I may have to consider for his bday coming up. Awesome product! Would be so much fun for my girls! My three year son would love this! He would make a bicycle and a train and who knows what else! Fort Magic looks so awesome! I really love that there a clips to hold the fabric onto the tubing! I think my favorite thing is the clips for the fabric. We have a bunch of play silks that we love using for forts but they always fall. The airplane looks awesome! My kids love planes! What fun! This would go over SO well in kindergarten! Endless possibilities! So awesome. My kids would love this. My son is obsessed with forts right now and would love this! I love that it’s BIG! My kids love making tents and forts. This would be great in our K-Prep classroom! Hours of imaginative learning! My son saw this over my shoulder and insisted on seeing all of the fort ideas. My kids will love to have this. They are going to have a lot of fun building forts ,houses ,cars. this kit looks so awesome, I’m sure my boys would love it! especially making rocket ships to fly to the moon! This would be incredible for my daughter. She’s wanting to “go to school” like her big brother and this would be perfect!! My 4 daughters would love this!! They love building forts out of blankets and love spending time in their tent. This would combine both loves!! My daughter is going to love this. If I don’t win, I may have to start saving for this. Woohoo!!! My daughter would love this!!! So many possibilities with Fort Magic. My kids would love to win! Love love love the magic castle one. My son would go crazy for it! Oh what fun! It looks like it holds up well with blankets draped on it. I would love to win a set! My two bohs would have so much fun building these. How do I submitt my entry? I entered wrong email address before. I love all of the different things you can build with this product! The rocket and the alien I think are my favorite!!! What a cool idea! Who doesn’t love a good fort? Would love to have this for more imaginative play and capturing childhood! I saw the FortMagic just the other day and thought it was such a great idea that I immediately a link to my mother who was looking for ways to entertain her grandson (my nephew) for two weeks this summer. My girls love forts and houses. Unfortunately cardboard ones don’t stay up well, so this is fantastic! I love the endless ideas between the fabrics and the designs themselves. Would LOVE to win this for my grandsons…….and ME! This looks like so much fun! I really want one for my family! This is the single coolest thing I’ve ever seen! I had something like this when younger (but not this cool) and I remember how fun it was! Wish I could just buy one, but since I don’t have the funds I will keep my fingers crossed that I win. My boys would LOVE it. This looks like so much fun!! It also looks like it would help solve a lot of the problems we have trying to build forts out of furniture and blankets! Brilliant idea! This fort building kit looks amazing! So many possibilities. I especially like the fabric clips. I’ve already considered purchasing Fort Magic for my son’s birthday in a few weeks. He is always building forts out of our couch pillows, but let’s face it, this toy would work so much better! He’d love the car, and I actually like the fort with the tunnel in the one video. Oh I just love all the designs they show to make! They all look so fun, but I know he would LOVE to make the airplane! And I love the safety tips they have too! The videos and pictures on their fb page are awesome! The ideas are endless! Those clips to hold the sheets/pillowcases on are just brilliant. Our forts are always super saggy, this would work awesome… and they have tunnels! I’d never even thought of just making tunnels. My kids would love that! This would be amazing for my three HOMESCHOOLED boys. I remember having something similar growing up that would let me construct little chairs and such but this is magnificent! I love open ended toys like this! I love this. Open ended play is amazing. I can’t wait to see what my son comes up with for designs! My three kids (and all of their friends) would have a blast with this!! Oh my!! My 2 .5 year old and my engineer husband would LOVE this!!!! This is a great idea; my kids would love it! Another great play opportunity with this kit it seems! Thanks for the giveaway. I love that there are so many endless possibilities with this kit! I love that they have tutorials!! Tutorials! This is such a great idea and wish it was around when I was little! Thanks for the giveaway and a great new blog to follow! Our son loves to build! I can imagine him building something with this, and how much our daughter would love crawling around in it! This is going on the my son’s bday wish list for the grandparents! Looks like so much fun! What a fantastic way to foster imagination! I love the amount of designs that are available plus the kids can design their own. This would be amazing! My family would love this toy!!! Crossing our fingers for this one. This looks like so much fun! Our daughter would love this! I love how open ended this toy is. they have great instructions for their designs, but I can really see how this could be used to make nearly anything. This would make much better forts than my portable Barre! Just stumbled into your site for the first time and it is a sunny day for tired minds. Thank you for such wonderful ideas and kindling sparks in creativity and the power of play. Count us in! How fun! All my children would have so much fun with this …I think even the teenager! Learned that it is easy to transport, just one kit and fun for all ages! I love all the options. I think my daighter would be thrilled to build the plane. I love that Fort Magic is easy enough for my kids to do on their own! I love all the designs and possibilities! We often have some type of fort or another in our living room and this would be such a fun and creative addition to our sheets, blankets, and chairs. I love the versatility! You can leave it up to your little one’s imagination to create and build. My 4 grandkids would love to play with this at our house. Would love this for my 3 boys! wow – this looks amazing! My husband might get more fun out of it than even the kids will! I love toys that help children use their brains and get creative. I love how open-ended it is! And the size too! Not too hard for mom and dad to squeeze in with them! This looks so cool! When I was little, we had omagles. We built all kinds of cool things. I can only imagine all you can do with this! This is the best building toy I have seen with over 300 parts so you don’t need to buy more than one. I love that it’s an open-ended toy with so many building options…only limited by your kids imagination! That is awesome! Hope I win! This is awesome. My kids would love to play out their imaginative stories with this. Love all of the creative options! My son has a great imagination and will love this. This looks like a higher end replacement for the awesome Cranium building toy that was discontinued years ago. I’m so excited to see this! I’ve never heard of this product before now, but after seeing all the pictures & reading all the rave reviews, it is now on my Amazon Wishlist! I know my 2 younger kiddos would have a blast with this. Oh the hours of fun my sidekick and I could have! His imagination grows every day and this would be the perfect outlet to watch it soar! This is one of the coolest inventions I have ever seen. I can’t believe the different types and sizes they have. My grand kids would adore this!!! Love these! Would be great for all these snow days we have been getting! My girls would totally love this! Maybe my husband would enjoy it more than them?! Thanks for the chance to win! I love that it has endless possibilities for hours of creativity. Would LOVE LOVE LOVE to have one of these sets for my girls! So much creativity in this product. Imaginative play is the BEST kind of play! I especially like that Fort Magic has incorporated the fun and colorful fabric! Crossing my fingers that I can win this for my 3 year old and all his little buddies! My kids would love this, so imaginative. My husband would love it too! Loved the website! So many different options, my kids would love this. I loved the idea of using wireless LED lighting to light up the inside of the forts! Hoping to win this for my boys. This looks like never ending fun family time. Wow! My girls would love this! I love that there are so many different options for building! And the fabric clips are genius! No more trying to tie or tape sheets and blankets onto our fort! my daughter would love this- looks amazing! Such a unique and fun product. My engineer minded son would love building forts with Fort Magic! This is an amazing find. Our four ladies would adore a more stable fort and the ability for them to assemble themselves will bring hours of enjoyment (and let me be more or a participant and less of an architect)! Fort Magic is endorsed by Teachers and Doctors. I love all the possibilities! Thank you! My four littles would LOVE this. I see it in our future, winner or not! Would love to make space for this in our tiny apartment! Will most likely fill their bedroom. my two girls would love this in their playroom! My boys would LOVE this! We have been building forts with couch cushions and blankets which is often met with frustration when it inevitably falls down. This would be absolutely perfect as it would take the frustrating collapse out of the experience! Pingback: Fort Friday + A Giveaway! 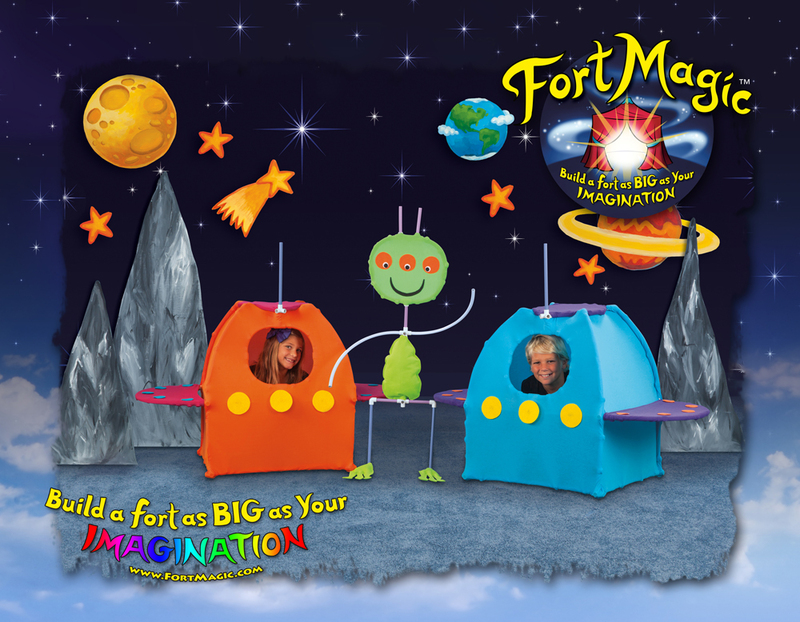 Our kids would love to have Fort Magic for Christmas!